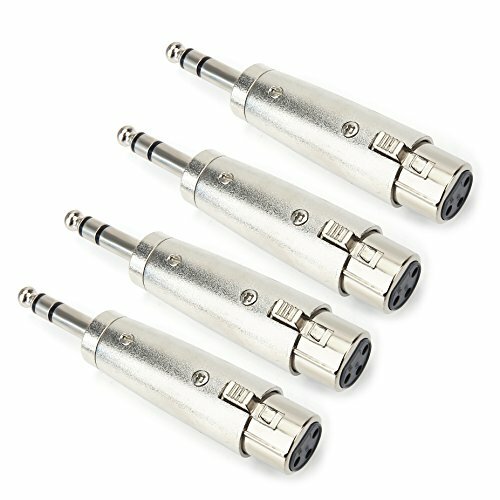 This adaptor is designed to adapt a XLR Male Plug to a balanced 6.35mm input. Connection A: 3-Pin XLR Female Plug; Connection B: 6.35mm (1/4 Inch) TRS Stereo Male Adaptor. The Housing for high strength zinc alloy die-casting nickel plating, attractive and durable. Protective Shielding for RF and EMI noise elimination. If you have any questions about this product by TISINO, contact us by completing and submitting the form below. If you are looking for a specif part number, please include it with your message.